The Maryland Academy of Sciences DBA Maryland Science Center’s (MSC) Statement of Nondiscrimination is posted in the museum and on our website. It reads as follows: The Maryland Science Center operates in accordance with nondiscriminatory requirements including, but not limited to, the Civil Rights Act of 1964, Section 504 of the Rehabilitation Act of 1973, the Age Discrimination Act of 1975, the Americans with Disabilities Act of 1990, and any amendments to these Acts. No individual shall, on the grounds of race, color, national origin, disability, age, gender (including gender identity), sexual orientation, religion, or any other legally protected classification, be excluded from participating in, be denied benefits of, or be otherwise subjected to discrimination under any program, service, or benefit provided by the Maryland Science Center. The following grievance procedure is to be used in the event of a guest discrimination complaint. Employee grievance procedures are outlined in the Maryland Science Center Employee Handbook. It is the responsibility of all MSC employees to assist guests in the resolution of a discrimination complaint. In the event that an employee is notified of such a complaint by a guest, they should immediately contact the Manager on Duty (MOD). 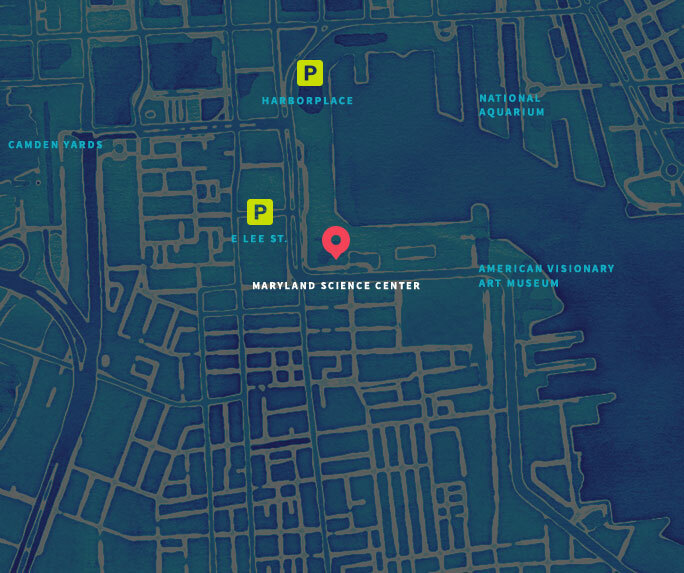 As the Maryland Science Center is open to the public most days, weekends and holidays during the year, it is the Manager on Duty who should be the first point of contact for guests with complaints. In many cases, the Manager on Duty should be able to address and resolve the complaint immediately. If the complaint is resolved in this matter, the MOD should provide a written report of the complaint and the manner of resolution to MSC’s Designated Responsible Employee (DRE) for compliance issues, the Director of Guest Services. If the matter cannot be resolved immediately, the guest should be encouraged to submit a written complaint. The MOD shall, if necessary, provide the guest assistance in completing the written complaint, or the complainant may submit a complaint in writing at a later time. By submitting a written complaint, the complainant agrees to be bound by the terms of this Complaint Procedure. The written complaint will be provided to the DRE for review, investigation, and resolution. If the DRE is unable to resolve the complaint, it should be forwarded to the Senior Director of Operations for additional review, investigation, and the determination of a manner of resolution. All data collected during the investigation of the complaint may at some point become evidence. An investigation may include, but is not limited to, the following types of data: Interviews or written interrogatories with all parties involved in the complaint, e.g., complainant(s), respondent(s), and their respective witnesses; officials having pertinent records or files, etc. All records pertaining to the case, i.e., written, recorded, filmed or in any other form. The complainant shall receive a written response, including the method and timeframe of resolution, within ten (10) business days from the submission of the complaint. The complainant will be notified should extenuating circumstances prevent resolution within ten (10) business days. If the complainant has any objections to the notice of resolution, they have ten (10) business days to respond. If there is no response within that time frame, the complaint will be considered resolved. If the complainant objects to the resolution provided, MSC has ten (10) business days to further address the matter and notify the complainant. The complainant will have ten (10) business days to respond. This exchange shall continue under like periods of time until a satisfactory resolution has been agreed upon. Documentation of the complaint, its investigation, and method of resolution should be kept on file for a minimum of three (3) years after the case is closed. Coercion, reprisal or intimidation against any person filing a complaint, either internally or through an outside enforcement agency or other legal channels, or against any person serving as a witness in relation to the complaint, is strictly prohibited.